We continue to share new Small Grant School Stories with you this Fall and Winter. These short stories offer a peak into the inner workings of a day at a #‎TEG small grant school, as well as being a repository of all the information we have gathered while working with the school. Our fifth instalment sees us visiting John Oliver Secondary School, first established at the south end of Wilson Park on January 21, 1921. Destroyed by fire in 1959, the school was rebuilt and re-erected on 41st Avenue, where it continue to stand today. As of 2014, the schools hosts around 1100 students. It was also the host of the 14th Dalai Lama as part of the Heart-Mind Youth Dialogue. 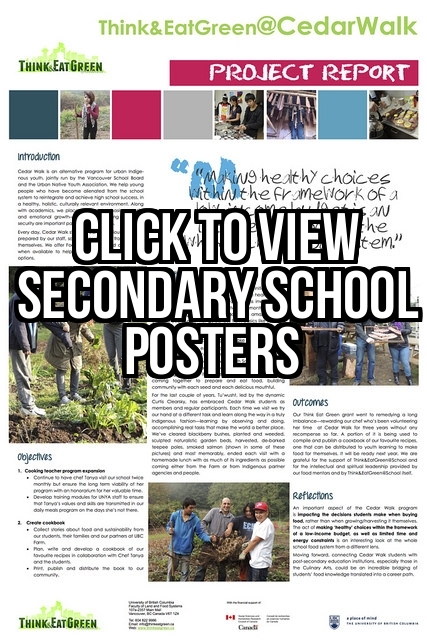 “The student population and the surrounding community is culturally and ethnically diverse, with over two-thirds of the students fluent in at least one language other than English.” (John Oliver Secondary School Website). John Oliver Secondary School first received a TEGS Small Grant in 2013, for funding a new composter, to grow the school’s cooking program, to plant and maintain a new fruit tree, and to convert their 6 current raised bed to growing food for use in the school. The school hosted Land & Food Systems 250 students in 2012 for a Garlic Workshop, and students from the school also participated in the IEAT and SFEAT surveys. The Small Grant teams and the funding from Think&EatGreen@School are vital components of food sustainability initiatives in TEGS schools – there is no doubt about that. 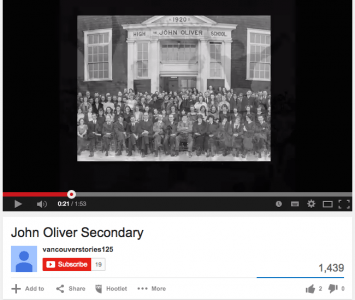 However, if there is any school that showcases the critical role of student involvement, it is John Oliver Secondary. Started this year, John Oliver’s ‘Environmental Club,’ was meant to provide students with a means to interact with the school’s garden boxes, and also to help provide extra hands for the school’s food sustainability initiatives associated with the Think&EatGreen@School grant. However, it is clear after meeting some of the students who belong to the club, that they are motivated by far more than gaining extra experience or credit. They want to make a difference. Already, there are roughly 15-20 students who are part of the club, and reasons for joining ranged from “lending a hand to the Environmental Club because the school didn’t have one before and was behind relative to other schools,” to “exploring the environment.” However, in such a short amount of time, the group of students has already managed to accomplish so much. Already, they’ve contacted the head of the Science department to talk about ways to integrate school food initiatives into the classroom. As well, they have plans to contact the head of the Social Studies department, and their teachers, to see how the school gardens can be incorporated into next year’s curriculum since they will be studying the Industrial Revolution. Kay Pham, who teaches the school’s Culinary Arts Program for grades 10-12, said that when the Think&EatGreen@School grant was passed to her by the school’s principal, it just made sense to her to apply for it. Although the school has a food supplier who works to source local and organically-produced food whenever possible, Kay’s thought was why not have the food growing directly at the school as well? She also realized that growing the food for the culinary program and for the cafeteria, was the best way to increase access to, and expose the most amount of students to, good food, grown right on the school grounds. As soon as the school received the funding, Kay and her team formed the Environmental Club in order to better engage the students, and gain extra help. The club took on the four garden boxes that had been built the previous year and set to work on building (and troubleshooting) irrigation, learning about growing cycles and planning out the best ways to use the garden boxes. 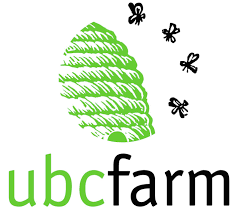 Although the Environmental Club and the garden boxes are still in the beginning stages, there will be plenty of opportunities for students to experience the complete food cycle in the coming school year, once everything is up and running. 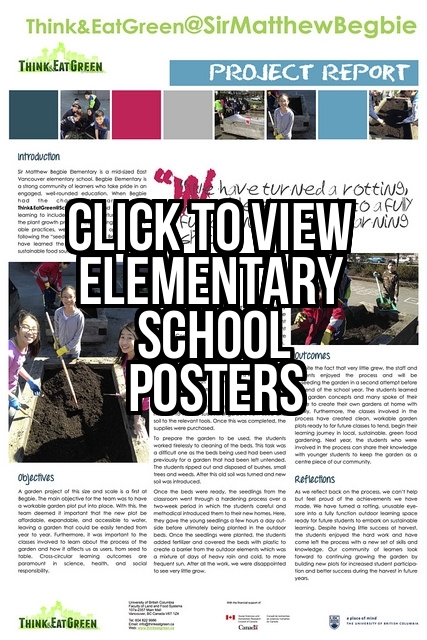 Ideally, the school would like to create a three-bin compost system, use the kitchen scraps from the cafeteria, and teach the students how to compost properly, while integrating the compost back into the gardens. The school has also just formed a partnership with the Environmental Youth Alliance (EYA) which is a partner in the Think&EatGreen@School project. Next year, the EYA will work with the Environmental Club, and the school to help create ways for classes to integrate the gardens into their learning experiences, and will be hosting workshops on everything from composting, to pollinators to soil. The funding from the Think&EatGreen@School grant has been a major motivation for engaging in healthy and sustainable food system initiatives at John Oliver Secondary. However, without the drive and passion of the Small Grant team, and the student members of the Environmental Club, the funding from Think&EatGreen@School would lie dormant. The students at John Oliver Secondary have not only embraced the idea of the complete food cycle, but they have also made it their responsibility to challenge traditional learning practices and become active participants in shaping the school’s sustainability initiatives. When they graduate, these students will go out into the world and take with them the experiences they gained and created for themselves while at John Oliver. It is clear based on how much they’ve already been able to accomplish, that these are the students who will go out into the world, challenge traditional ways of knowing and, ultimately, change the world for the better. -Words by Nicole Read, with introduction by Grace McRae-Okine, for the Think & Eat Green @ School Project. 2014.